This week we have a couple of interesting fly box items–one on reeling right or left hand, and the other on how to dress for fly fishing. The main podcast is about evaluating a new trout stream to figure out how fast to move, what fly to use, and how rich the stream is. I also include a shameless plug for my new book Small Stream Trout Fishing. Listen to this podcast by clicking the READ MORE button below. 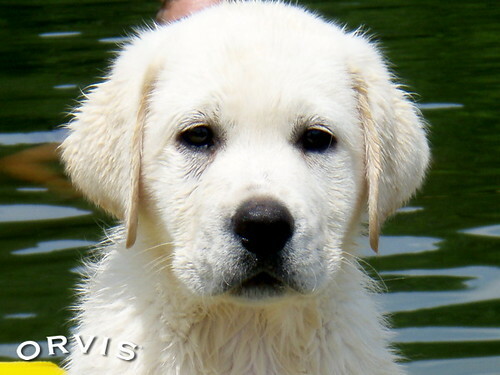 Orvis Dog of the Day – Buck! Trout Unlimited’s On the Rise TV show, airing on the Sportsman Channel, resumed this week with a new host Jed Fiebelkorn, a Montana guide and former host of Fly Fisherman’s TV show. On the Rise focuses on great American trout rivers and the conservation issues surrounding them. In the first episode, Jed floats the Teton River with Mike Dawes of WorldCast Anglers and Kasey Collins, President of Teton Valley Trout Unlimited Chapter 721. As with many rivers of the American West, the Upper Colorado River is facing a crisis in the balance between keeping a river intact and “alive” and the water needs of the region’s population. But water needs for drinking water is one thing; water “needs” for keeping one’s sprinkler going in order to have a plush lawn of blue grass in an arid region is quite another. I could not pass yesterday up. 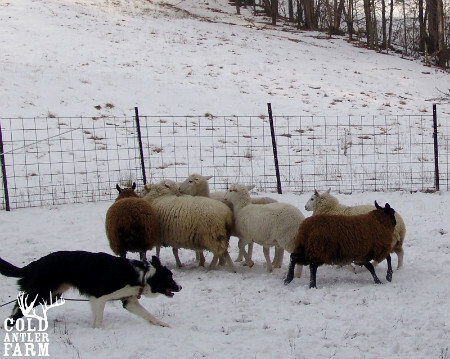 The combination of mild weather, melting snow, safe roads, and a border collie-in-training, meant I would make the drive to Denise Leonard’s Farm for a herding jaunt. It was the perfect day for a lesson. And anyone who trains animals knows you need to keep the dogs (and sheep) in the practice of work. Keep minds thinking, legs moving, and my heart rate up. So I packed up the Subaru, and before dawn my pup and I were off to learn how to be shepherds. Peter Kutzer strutting his stuff on the Orvis casting ponds. Our Tuesday Tips on casting have been so popular that we’ve decided to add a new feature to OrvisNews.com: “Ask a Casting Instructor”! If you’re having a problem with casting in general, casting in specific angling situations, or progressing to the next level of distance or accuracy. . .
We dig the style of English graphic designer and fanatical angler Steve Edge. Back in February, we featured a video of his attempt to hook and land a Ferrari in the narrow streets of London. Now he offers really good advice on how to remove a hook that’s been buried in someone’s. . .
First Wade in 2011 Capt. Tuck Scott 3/17/11 from Bay Street on Vimeo. 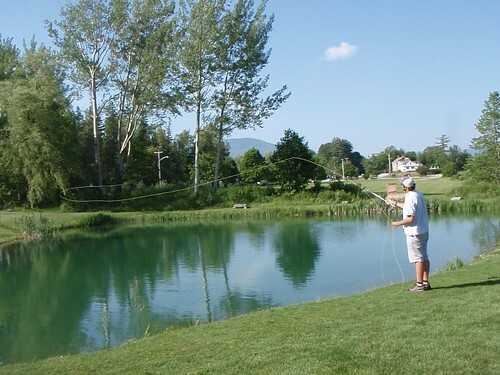 We are T-minus 12 days until trout season here in Vermont, but some of our southern compatriots are getting an early start to their fishing year. Here’s a great video from Capt. Tuck Scott of Bay Street Outfitters in Beaufort, South Carolina, who recorded his very first wading trip for redfish. “Here in Beaufort, we love our tailing redfish, and about half way through the winter we start dreaming about warmer days so the fish will start tailing again,” he writes. “Usually tails don’t start. . . In our last lesson, we discussed how to add line during the cast. But what do you do when you can’t make an overhead cast because there’s no room for a backcast? In many situations, bushes, parked cars, or even people make it impossible to throw the line behind you. That’s when you need to break out the roll cast. . .